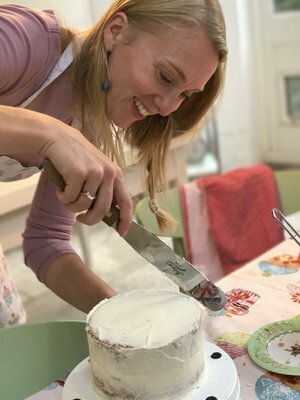 During this lesson we will cover step-by-step techniques, which will be fully explained so that you never again need to worry about anything from the mixture curdling to scaling up your recipe for a larger cake. Xanthe will ensure that your every query is covered. You will learn everything from when it is necessary to sift flour to what kind of sugar you should use and how to adapt the recipe to create countless variations. While your cake is baking we will show you how to produce a delicious buttercream to fill and ice your cake with. Once it has cooled you will be taught how to use a cake wire to ensure that all your layers are even before icing it with a ‘crumb’ coating. 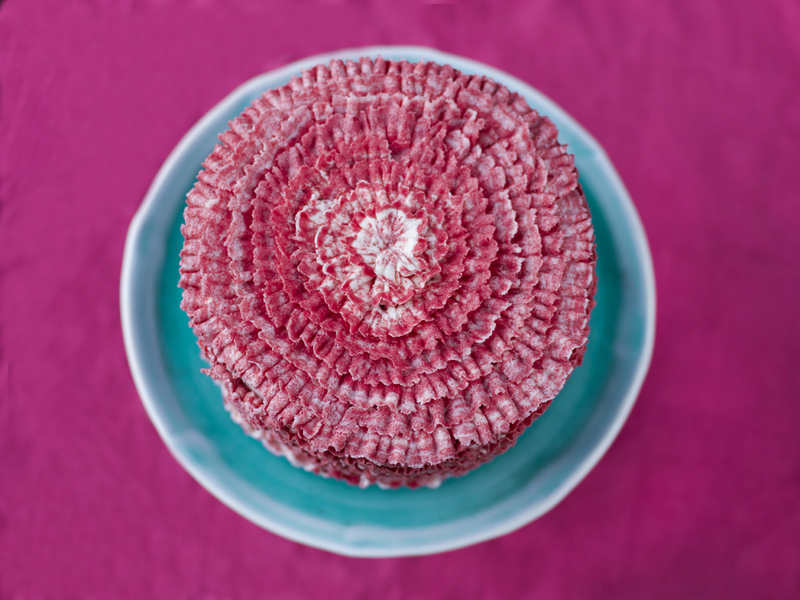 You will then learn how to pipe a stunning ‘ruffle effect’ around the sides of the cake, using a professional cake turntable, before creating your beautiful ‘rose’ centrepiece. This class will equip you with all the knowledge and confidence that you need to tackle most large and layer cakes. * Please note that some of our icings contain Southampton colours. Research has shown that these may have an adverse effect on activity and attention in children.